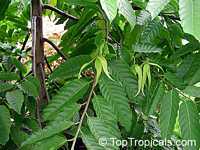 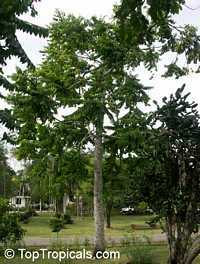 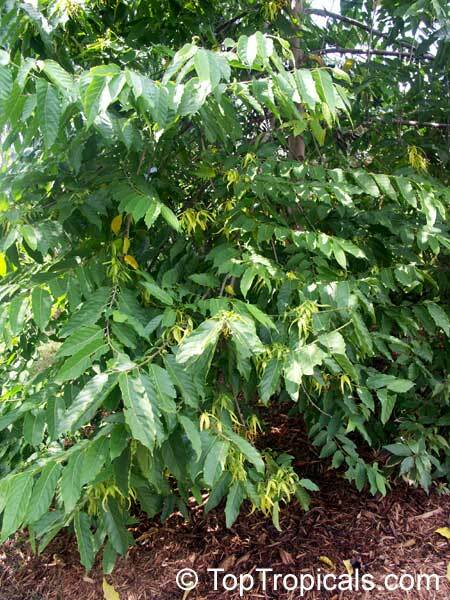 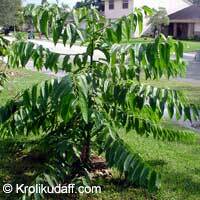 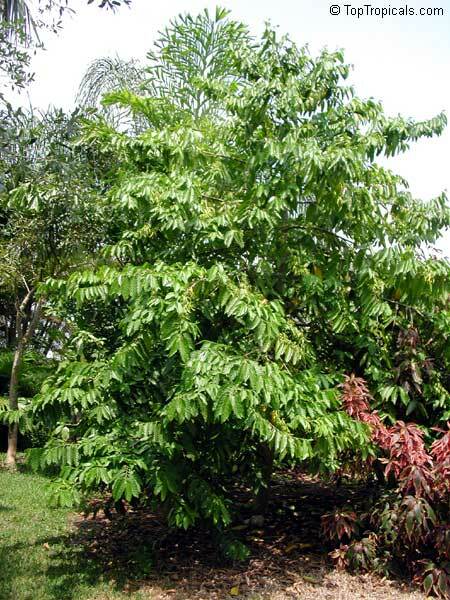 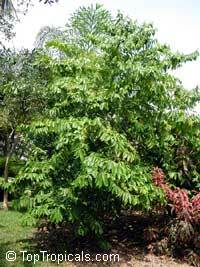 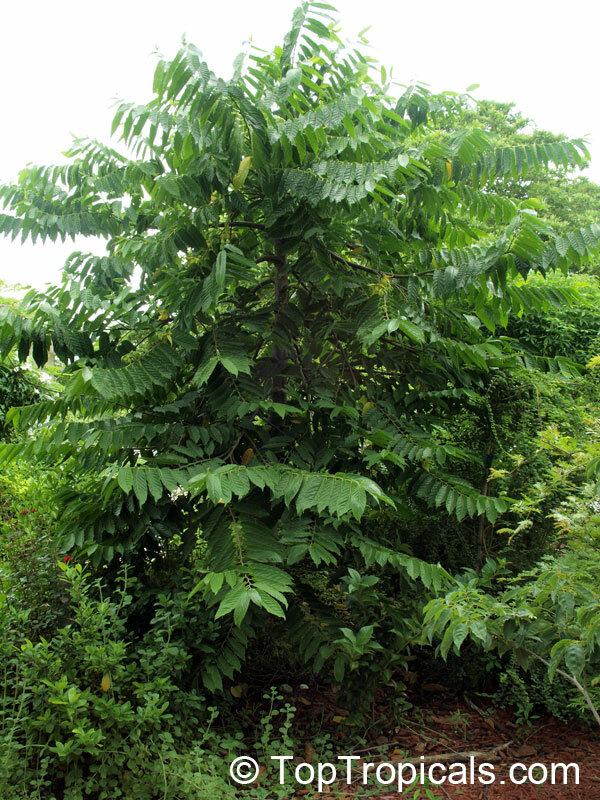 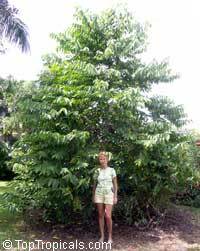 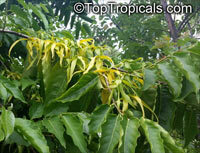 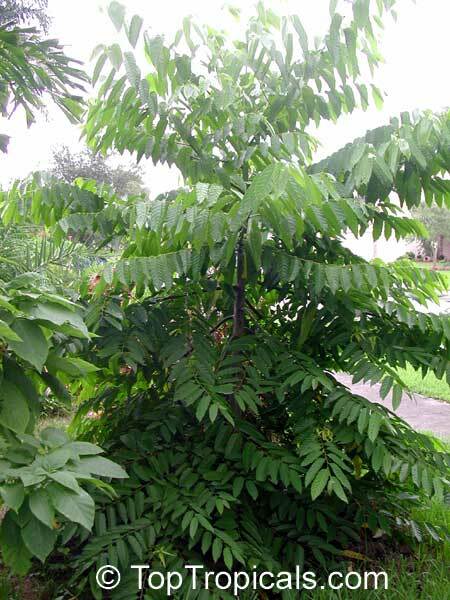 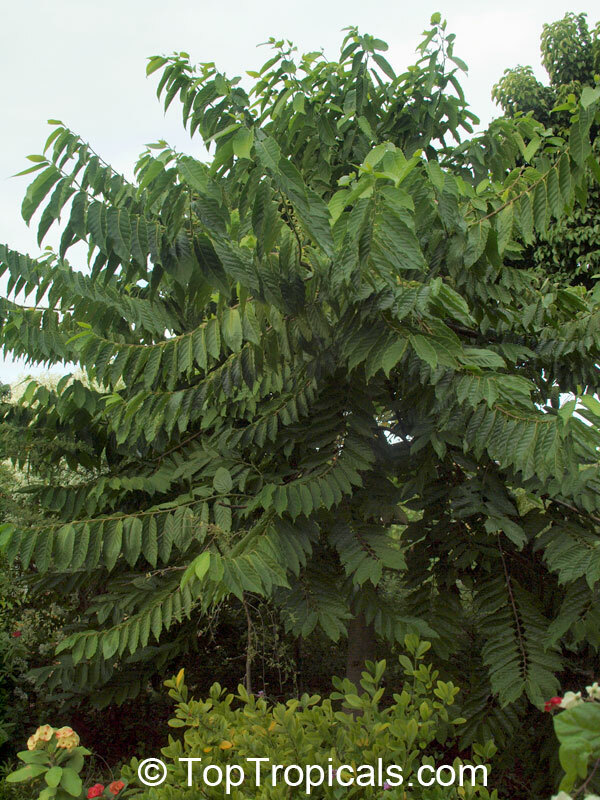 This is an evergreen tree, around 30 to 45Ft in height, with gracefully drooping branches. 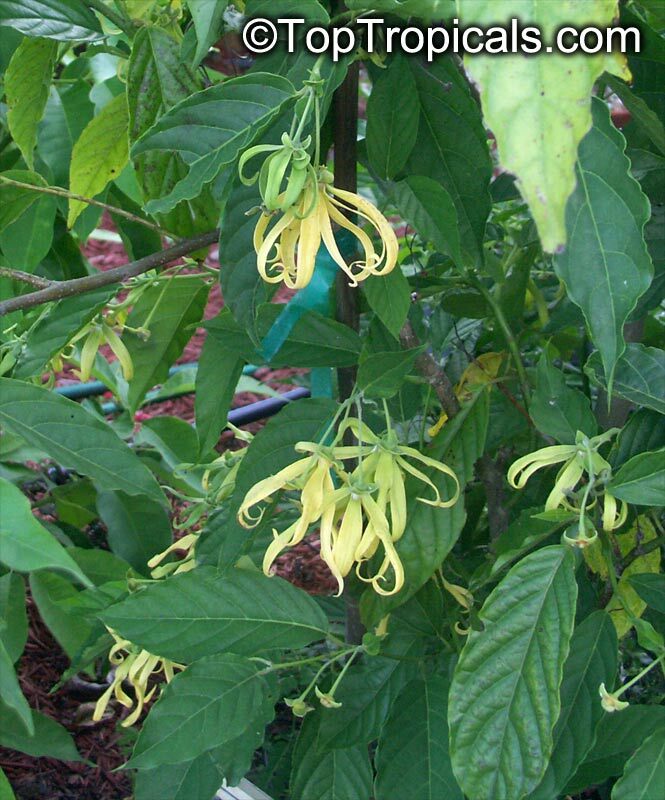 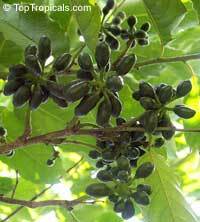 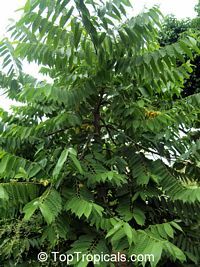 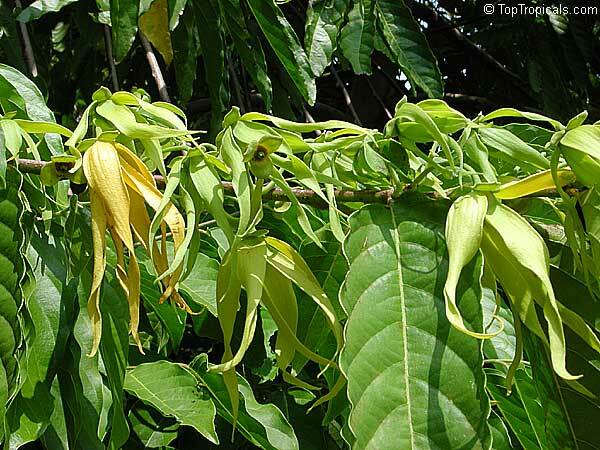 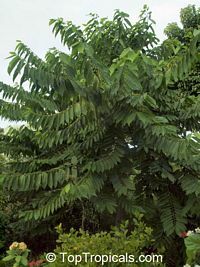 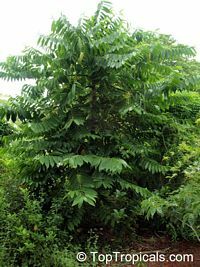 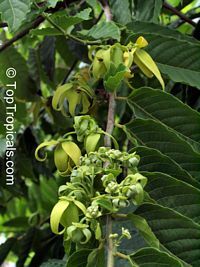 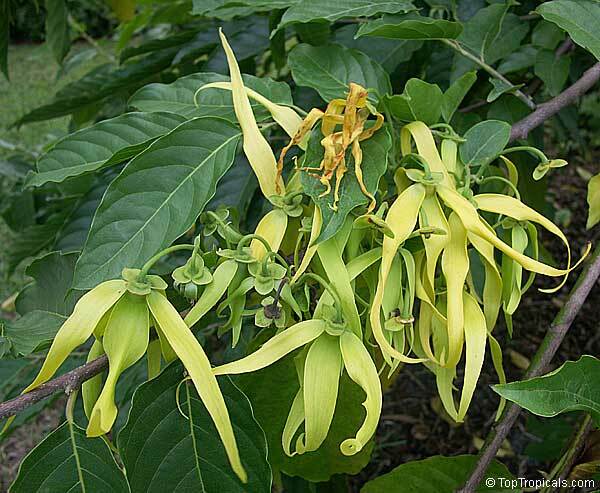 It is often grown in the gardens of Southeast Asia because of its yellow-green, highly fragrant, drooping flowers, which appear almost continuously on the leafy twigs. 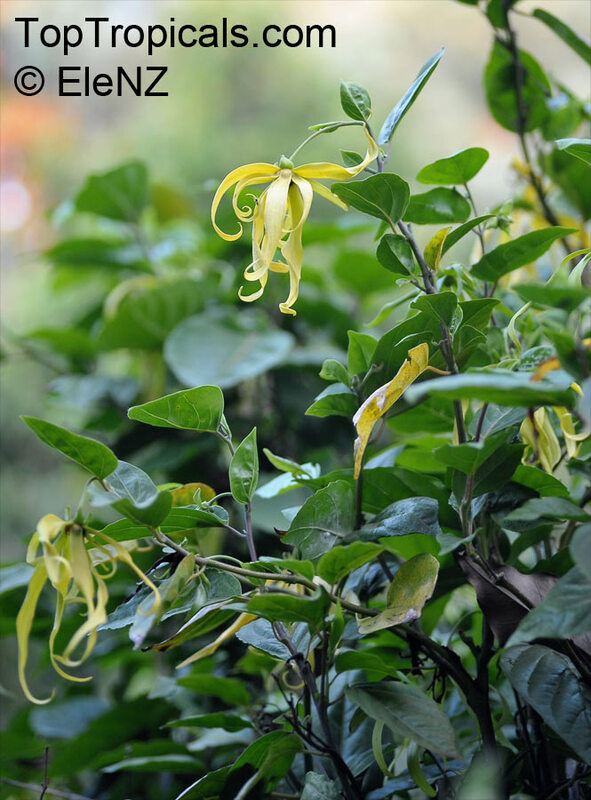 Though not striking from a distance, green when they first appear and becoming yellow with maturity, these are very fragrant and are used as offering or to scent a room. Fragrance embraces the yard for many yards around. 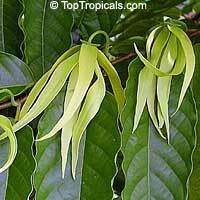 The flower itself though not standing out among green leaves from the distance, still looks very stylish and reminds an elegant accessory for a luxurious brand name evening dress in addition to it's wonderful fragrance. 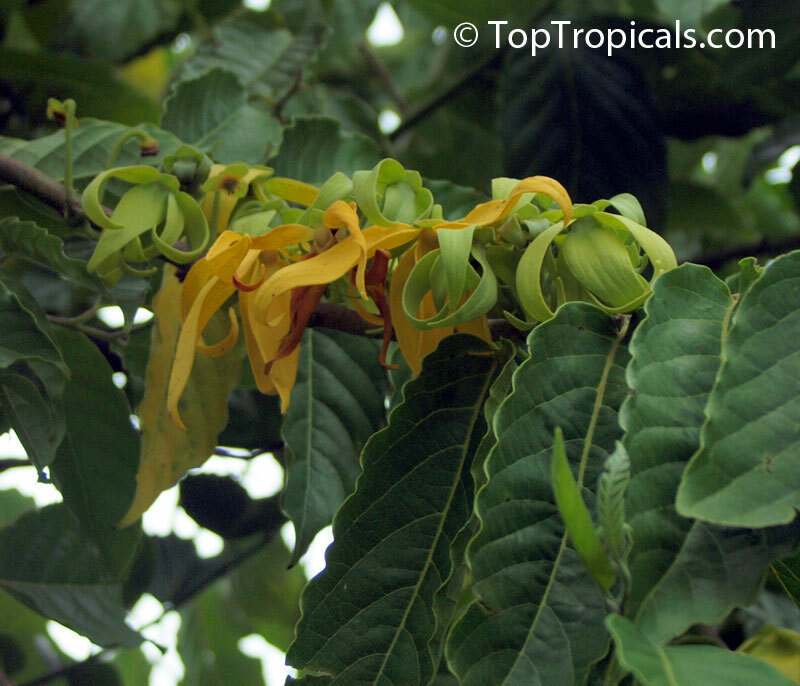 No wonder the flowers are used for production of Chanel#5 perfume. 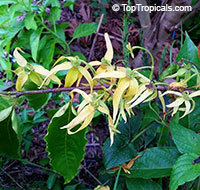 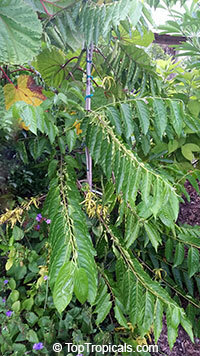 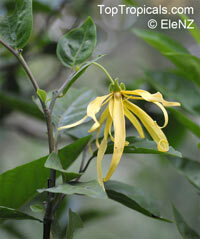 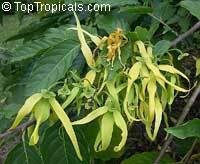 There is also a smaller form of this plant - Cananga odorata var. 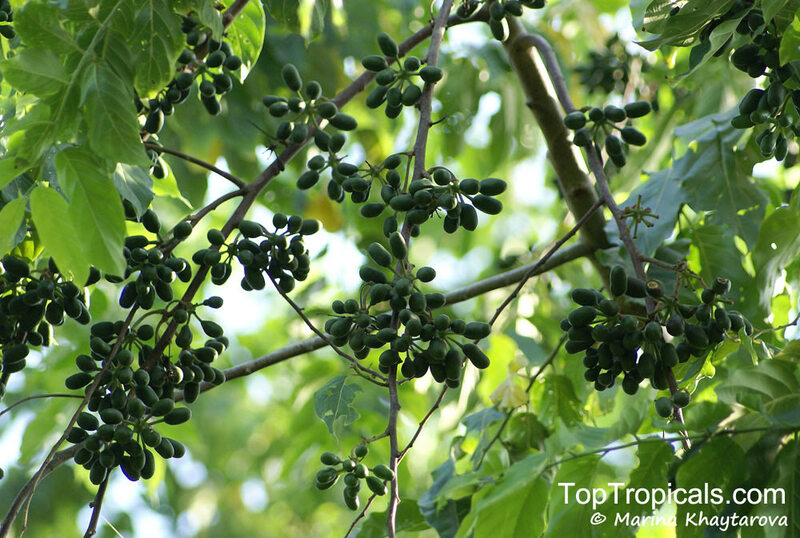 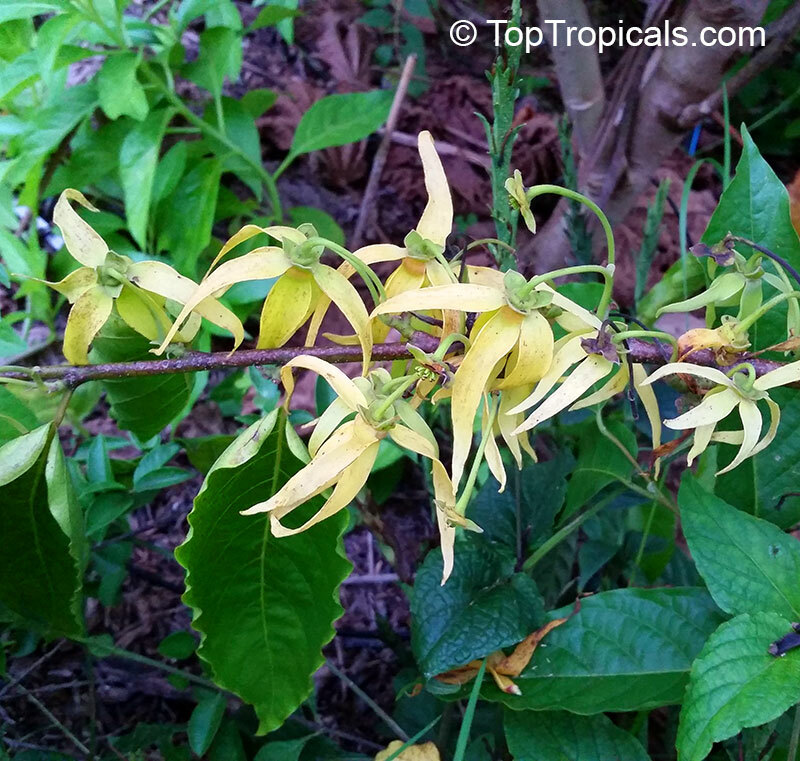 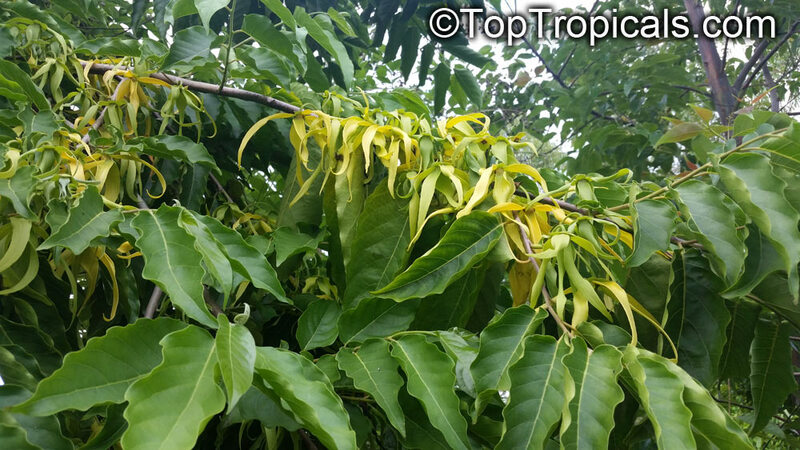 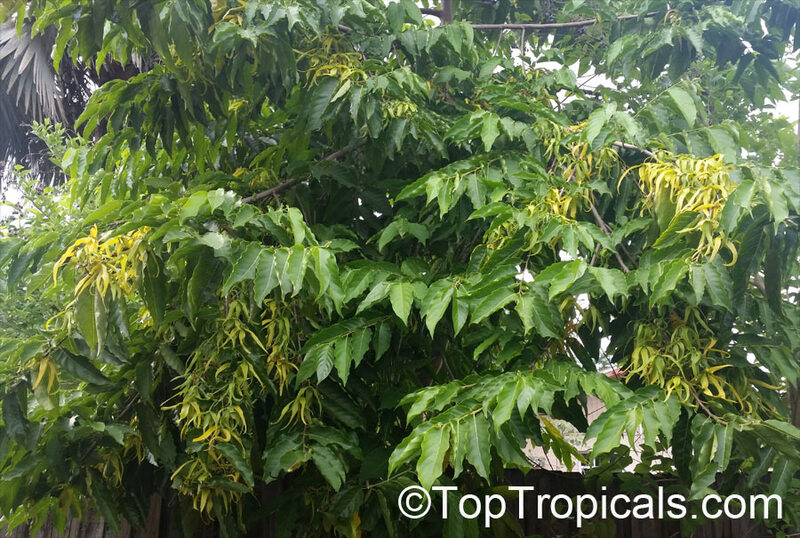 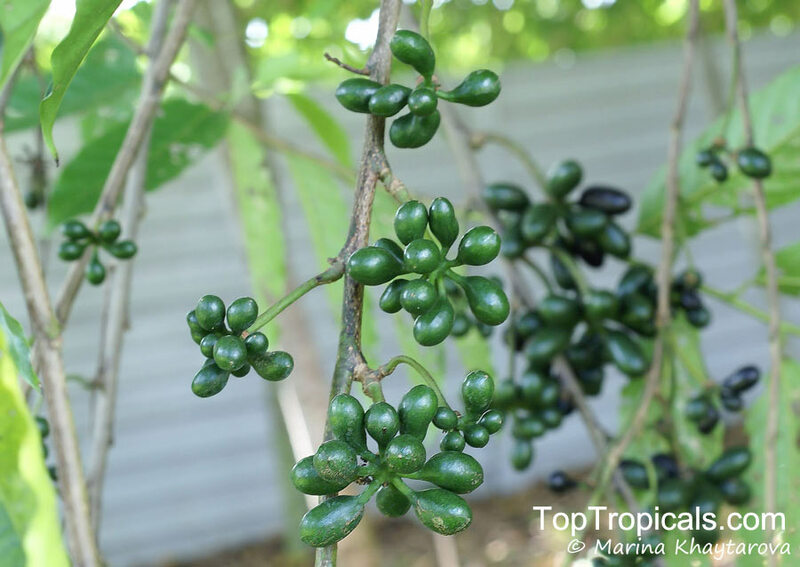 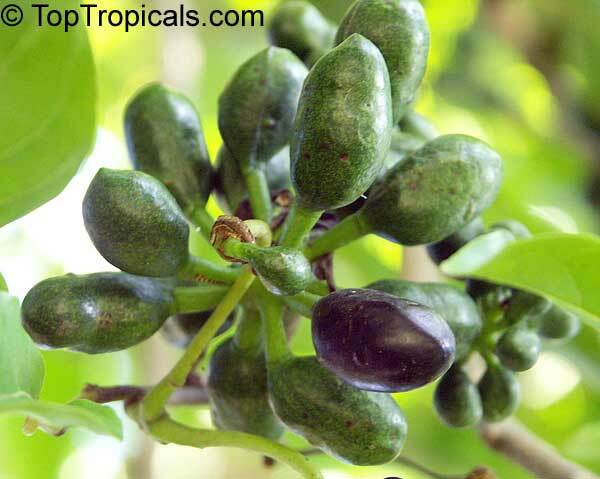 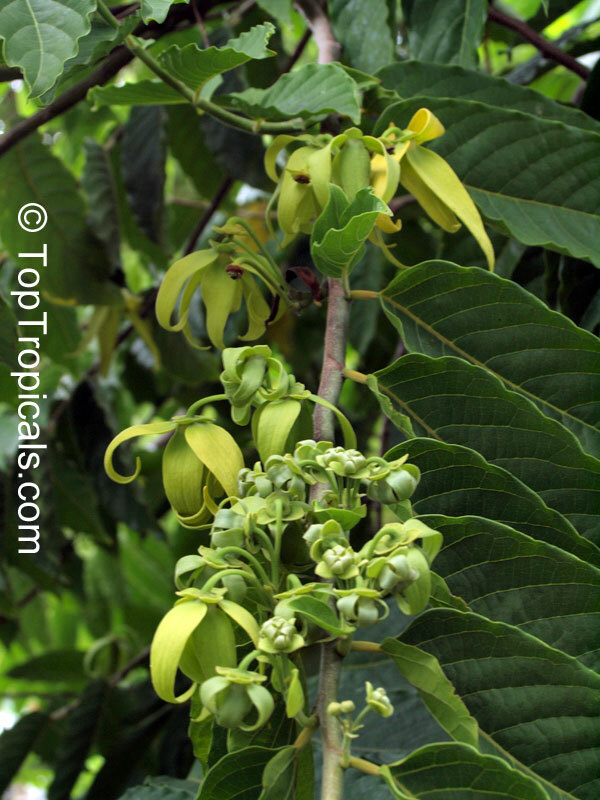 fruticosa that grows into a dense shrub about 9ft in height. 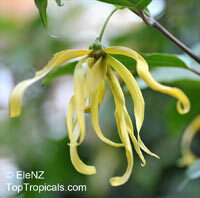 Cananga does best in full sun but will grow in light shade. 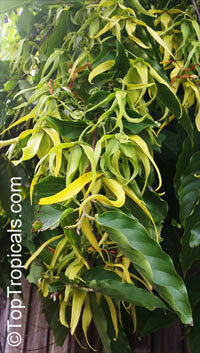 Propagation is by seeds, more difficult by cuttings. 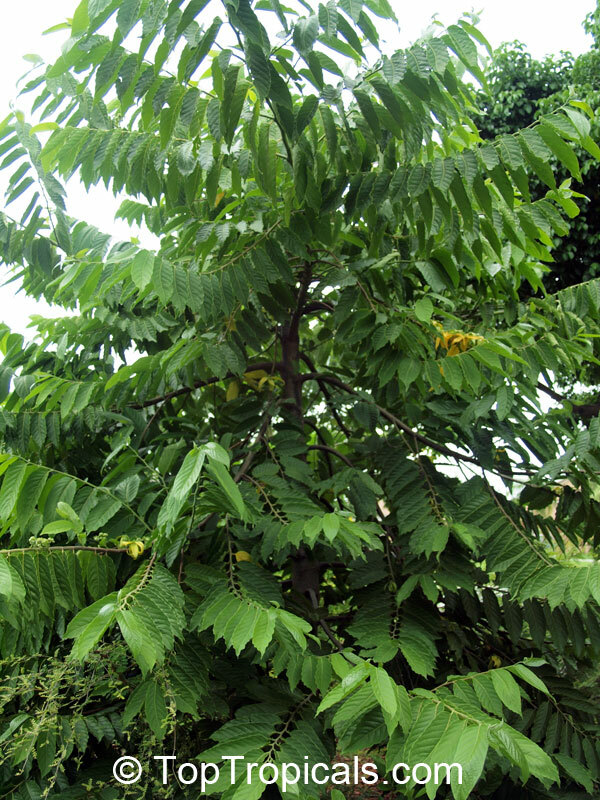 Very fast growing. 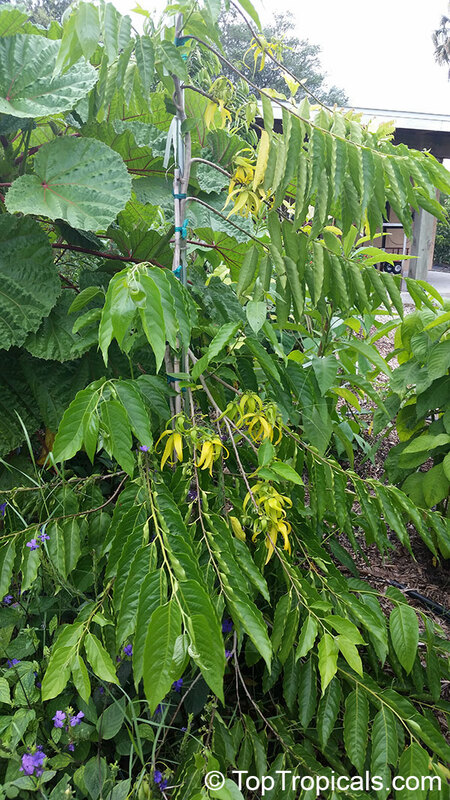 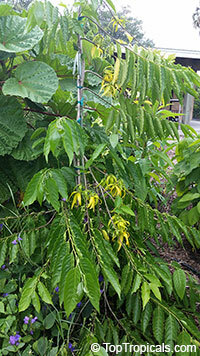 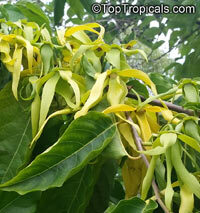 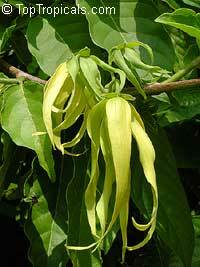 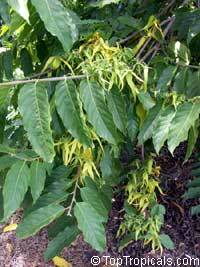 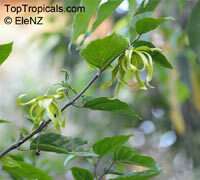 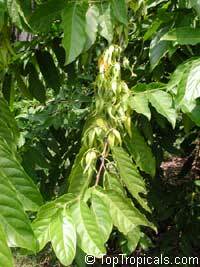 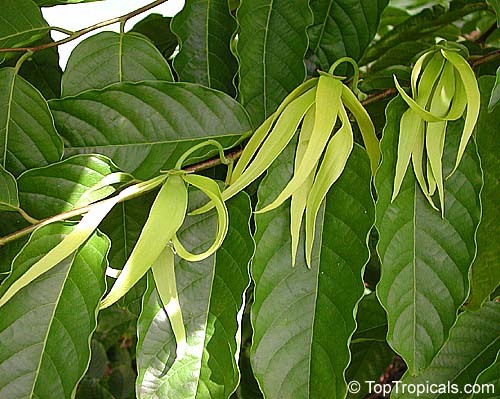 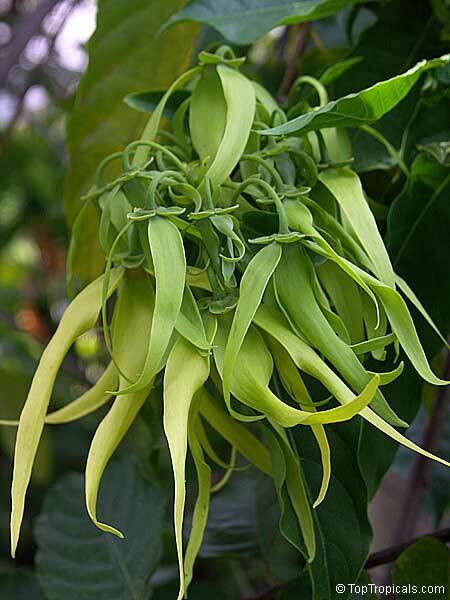 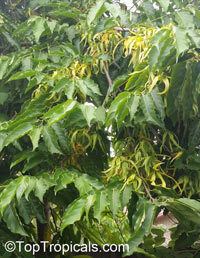 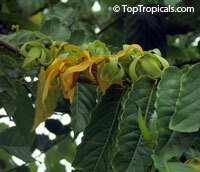 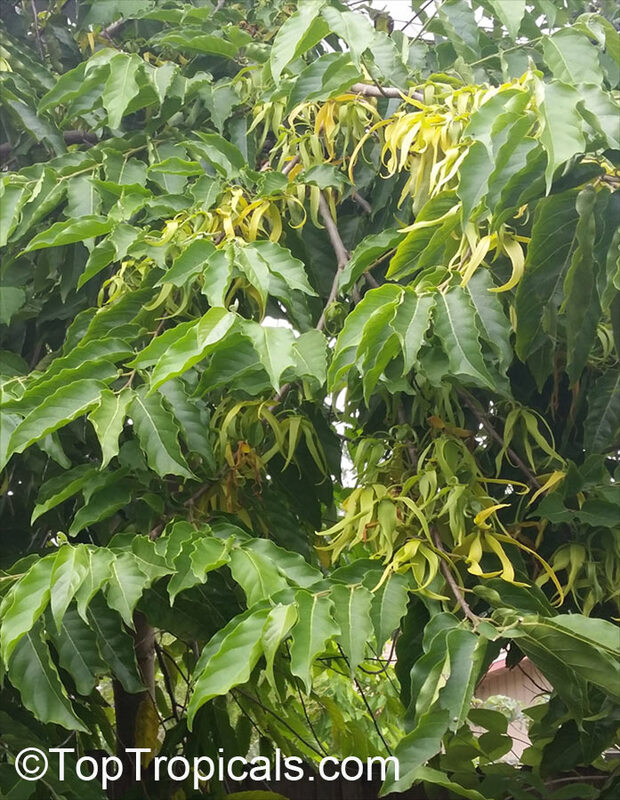 Ylang Ylang, Perfume Tree, Chanel #5 Tree. 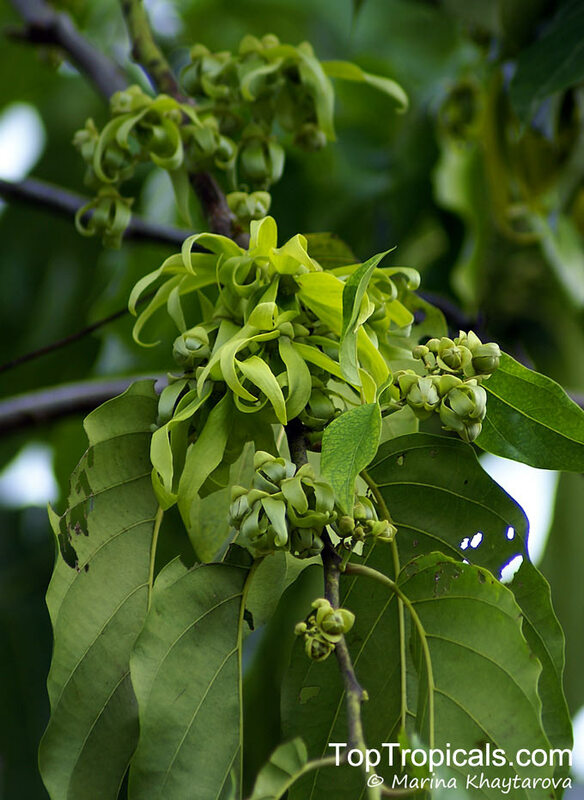 Known for the perfumed aroma of its blossoms. 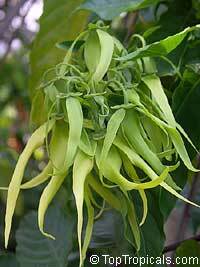 Takes time to germinate, up to 4-8 weeks. 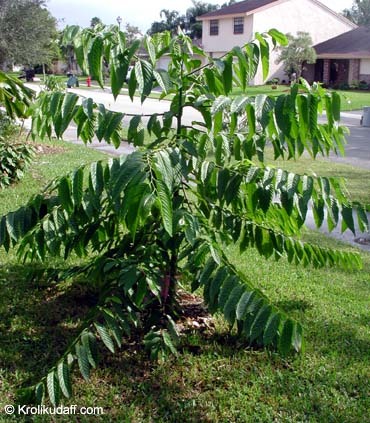 Plant 1/2" deep. 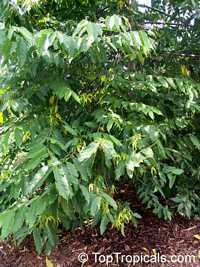 Keep in slightly moist peat moss in warm place, may use heater 90F. 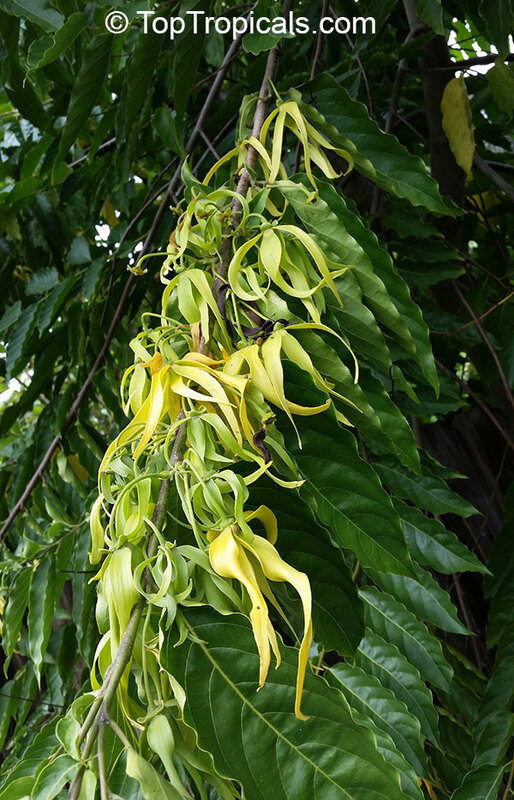 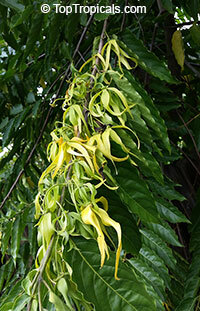 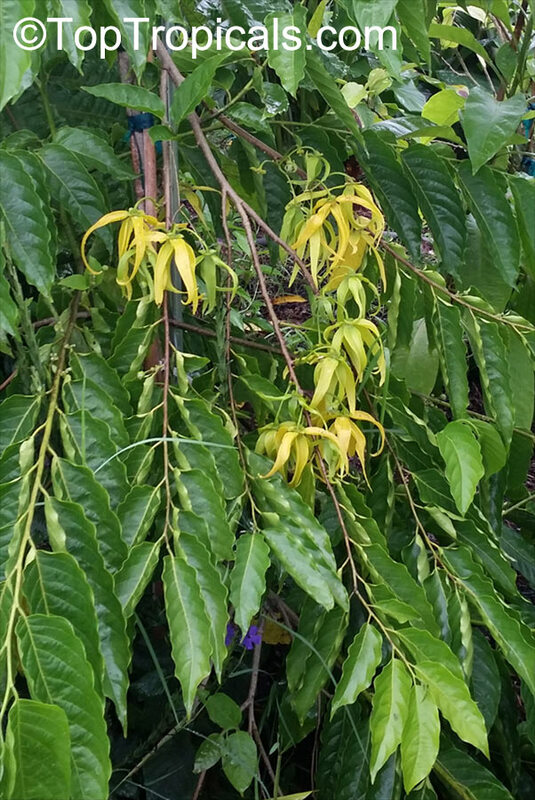 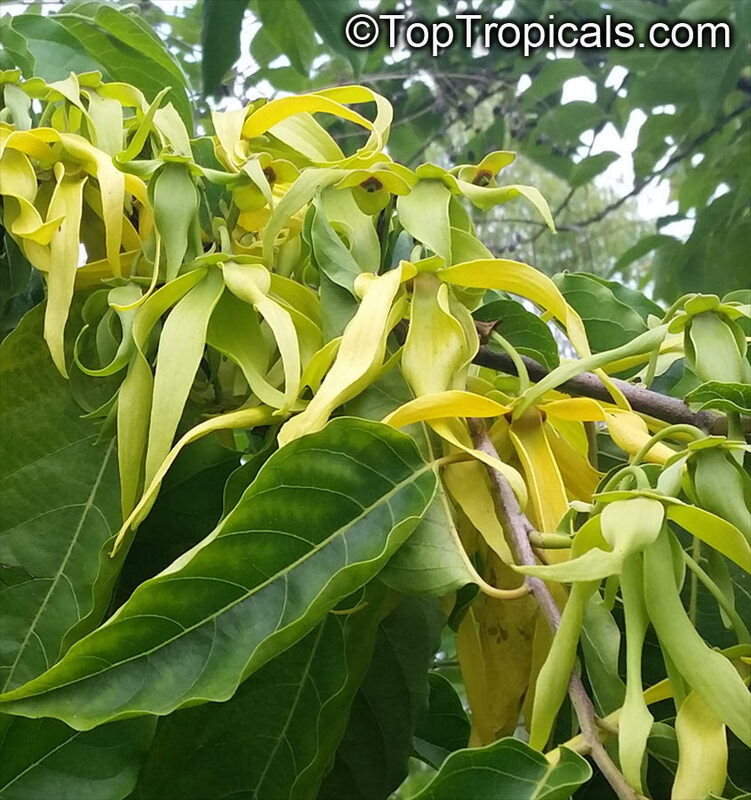 Ylang Ylang, Perfume Tree, Chanel #5 Tree. Famous perfume tree from which flowers Chanel#5 perfume is produced. 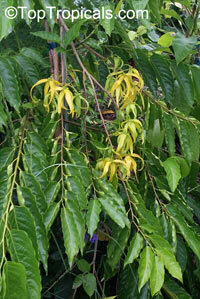 Blooms on and off during warm period of year, fills the air for yards away with fine perfume year round. 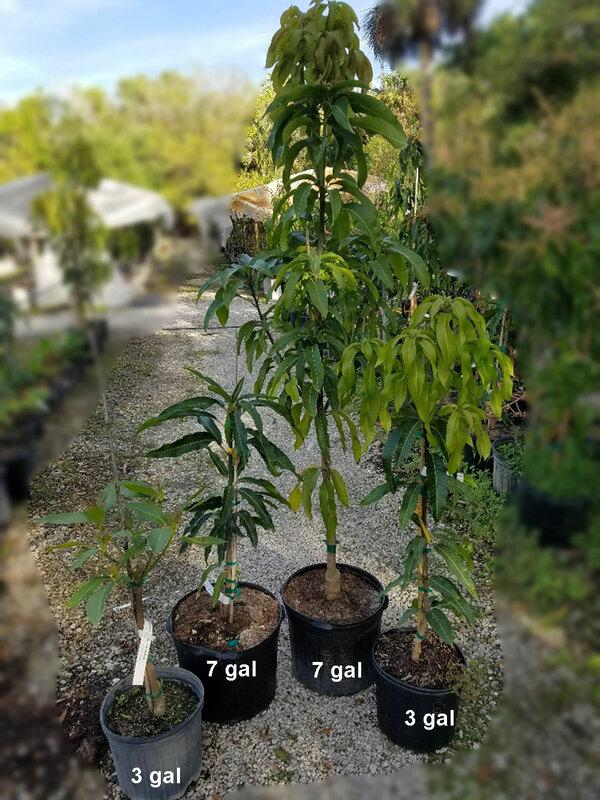 Tall trees may be topped due to shipping size limitations. 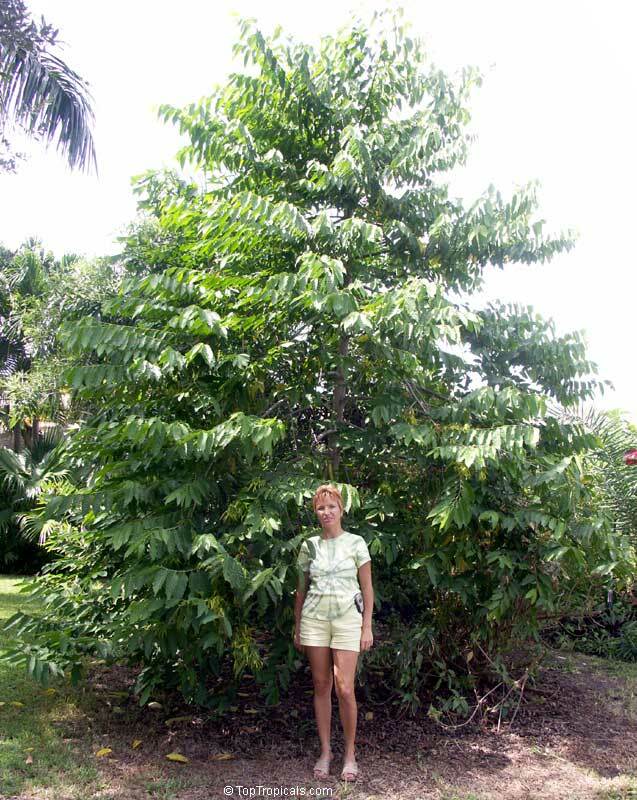 This is very large plant, will be shipped only via FedEx Ground. 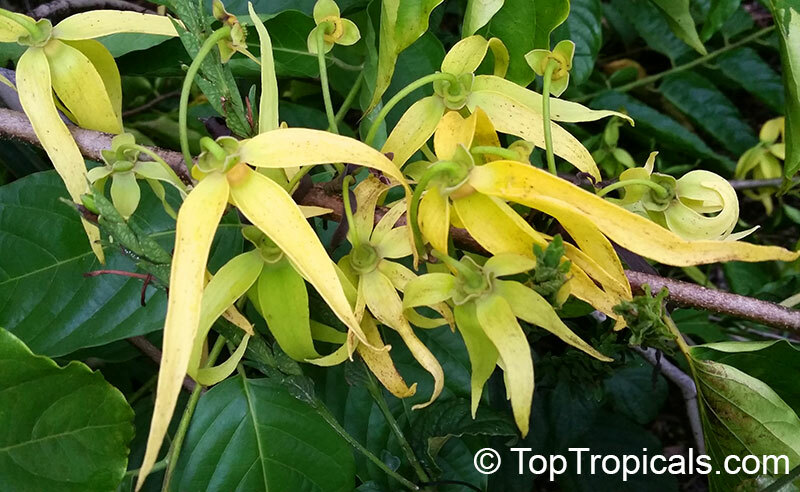 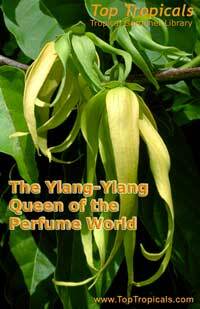 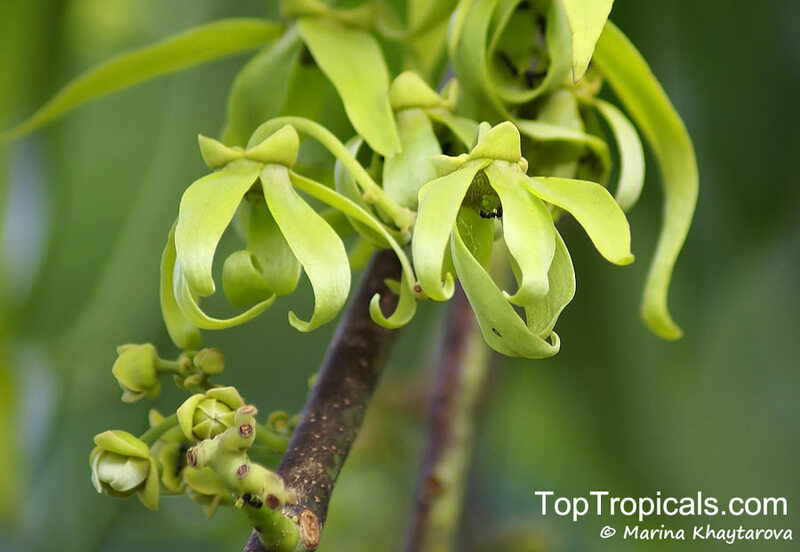 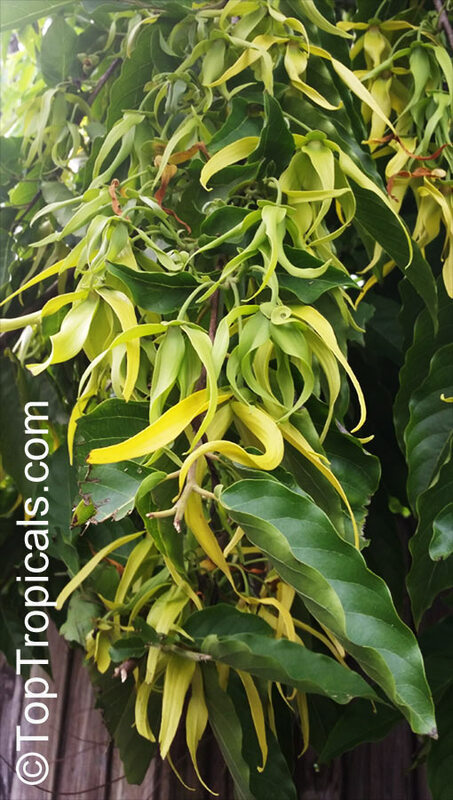 The unique full-color edition about the Queen of Fragrance - Ylang-Ylang. 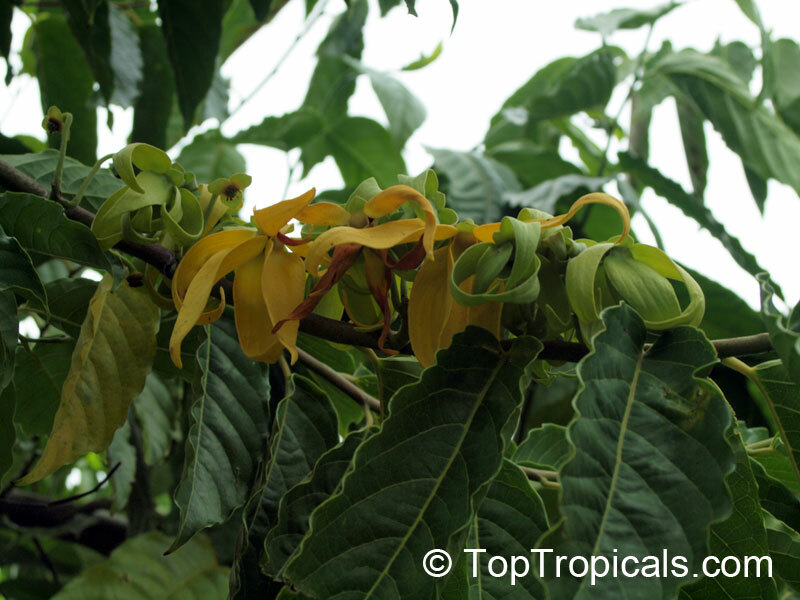 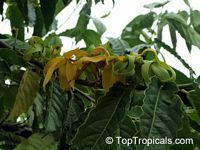 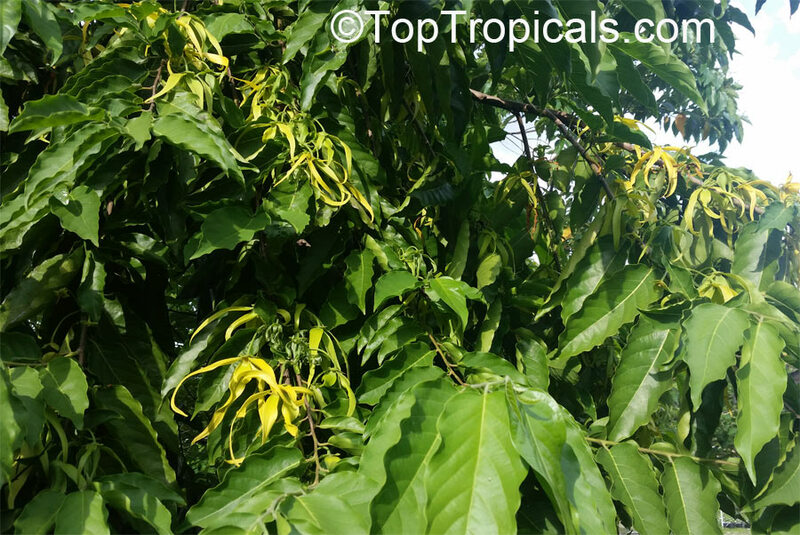 20 beautiful full color photos of Cananga odorata, history of the plant, legends, cultural meaning, perfume production, aromatherapy recipes, cultivation tips on growing indoors and in the ground.